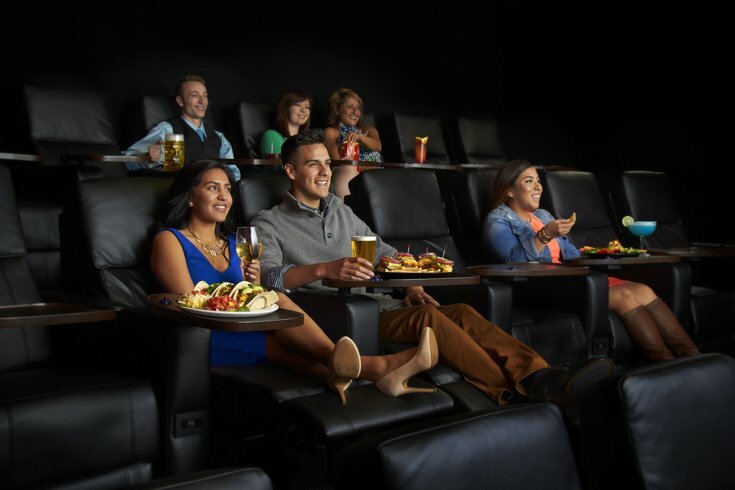 Movie Tavern patrons can wine and dine while viewing movies in luxury recliners. The chain is building a new theater in Exton, its third in the Philadelphia region. Movie Tavern has broken ground on an Exton theater enabling viewers to wine and dine as they watch films from luxury recliners. The Dallas-based company is building a nine-screen, full-service theater within the Main Street at Exton shopping complex. The theater, set to open in early 2016, will be the third Movie Tavern in the Philadelphia region. Movie Tavern theaters feature luxury recliners equipped with call buttons at every seat. Patrons can order from a dining menu featuring entrees and appetizers. A full bar includes wine, signature drinks and domestic and imported beers on tap. “After opening our popular theater in Collegeville and seeing the enthusiasm surrounding our upcoming Flourtown opening this July, we’re excited to continue growing a market that craves the in-theater dining concept,” Marketing Director Danny DiGiacomo said in a statement. The 43,485-square-foot movie theater is expected to accommodate more than 1,000 moviegoers and bring 150 new jobs. The Movie Tavern chain, founded in 2001, has 19 theaters located in nine states.